Yep broccoli. It’s soooo good. I heard about it on Cooking channel. They did a show on great sandwiches and went to No. 7 Sub in NYC. A hipster dufusy place at the Ace Hotel in Manhattan. SO when I went to NYC last month for a couple of days and had to go there. The place is pretty tiny. No seats really, just a couple of stools. Luckily there was only a couple of customers there. Ordered by Broccoli sub and took it to go back to my hotel room. Once in my room, I had a really cool birds eye view of President Obama’s security for a fundraising dinner at the Waldorf-Astoria hotel. The entire block and surrounding area was filled with cops, motorcycle cops, bomb sniffing dogs, guys with automatic weapons, ambulances, etc etc. So I ate my sub and watched the festivities. The sub was SO GOOD. It was warm! No. 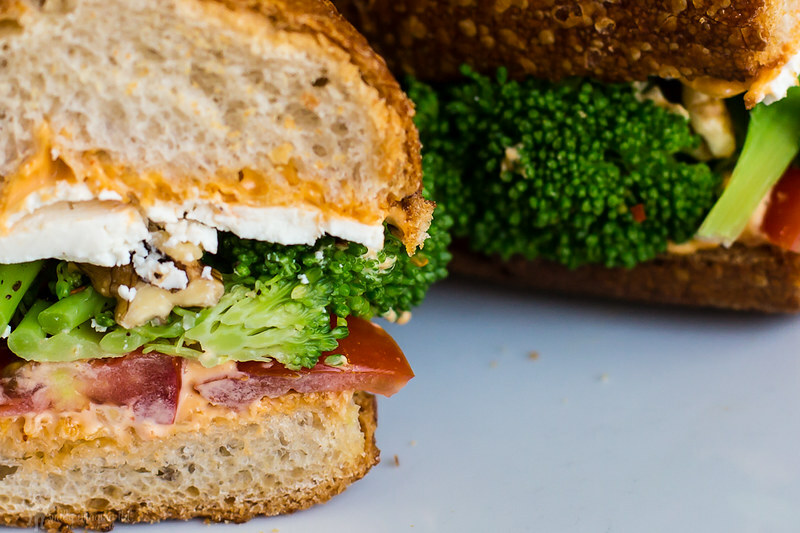 7 Sub puts broccoli, mayo, ricotta salata, pine nuts and something called lychee muchim on their sandwich. I have no idea what lychee muchim is but it was excellent. So when I got home I was touting the sandwich and wanting to re-create it. 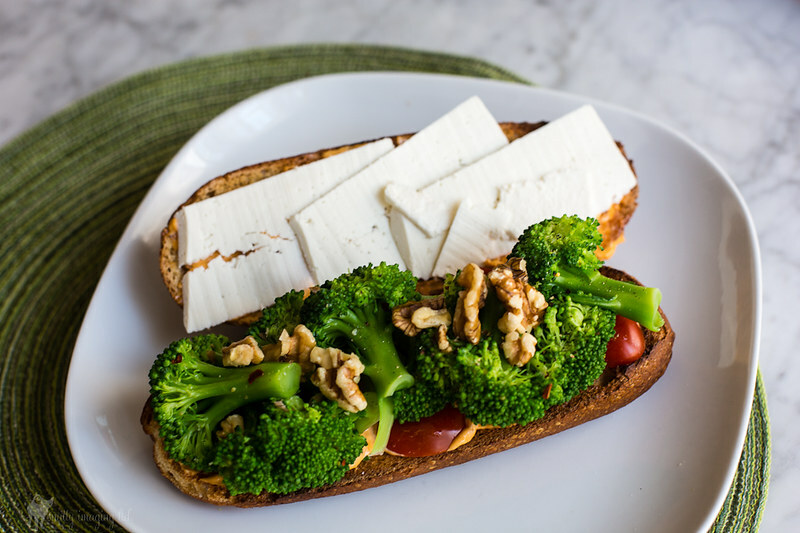 I got a organic whole wheat sourdough bagette from whole foods and put boiled broccoli, chipotle mayo, red chili flakes, raw walnuts and ricotta salata on it. Amazing! Super amazing. And super easy to make. It’s not No. 7 Sub but it will have to do until I get back to NYC. This entry was posted on Sunday, June 24th, 2012 at 20:55. 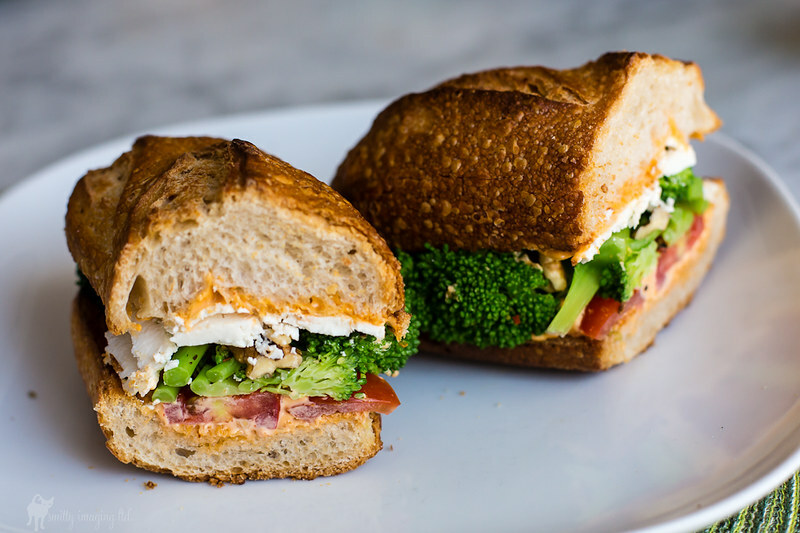 It is filed under Food, Uncategorized and tagged with ace hotel, broccoli, food, lychee muchim, manhattan, New York, no. 7 sub, ricotta salata, sandwich, sub. You can follow any responses to this entry through the RSS 2.0 feed.